All Shopsmith shaper cutters may be used on any shaper that accepts 1/2" bored cutters. All Shopsmith shaper cutters may be used on any shaper that accepts 1/2" bored cutters. For safety reasons, we recommend that these cutters always be used with a shaper fence when straight-line shaping. 505613 Bead and Bevel Shaper Cutter..
555049 3/4" Nosing Shaper Cutter..
Set of 6 cutters total. 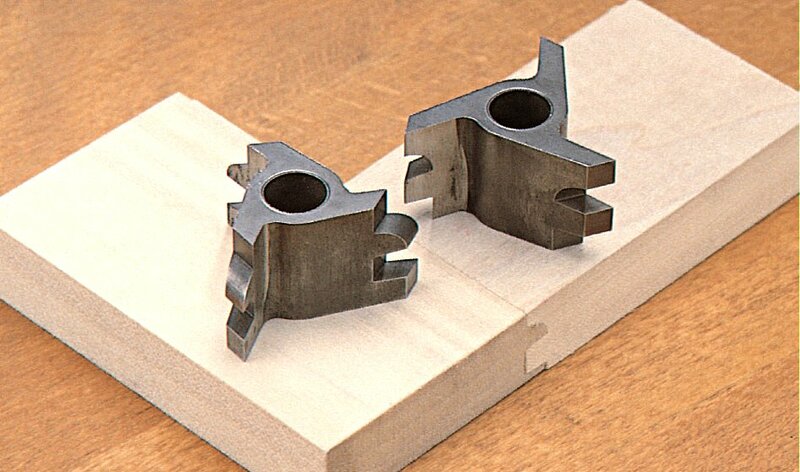 Make beautiful cabinet doors with the door panel cutter and door-rail coper with your shaper. Use the door panel cutter to cut the panel grooves in the edge of rails and stiles. Cut the ends of the rails with the matching door-rail coper.